IT’S HERE!!! PLUG IN THOSE EARPHONES AND RAMP UP THE VOLUME!!! 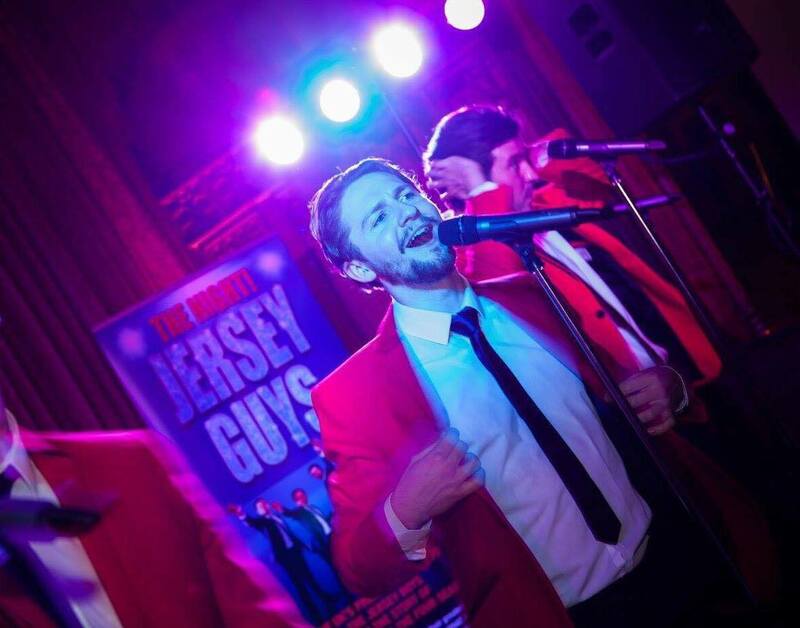 Enjoy the iconic, harmonious, stratospheric vocals of our Jersey Guys in their cover of the AMAZING… Jersey Boys Medley! 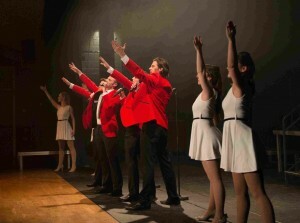 Your show was absolutely fantastic and hit just the right note for our audience. Gary and I have both said we would not hesitate to book you and your team again. Thank you for being absolutely professional and giving a superb performance. The Jersey Guys were fantastic! Everyone hasn't stopped talking about it and saying what a fantastic show it was. Many thanks indeed for all your help in the organization and for making the evening very, very enjoyable. You are real perfectionists with great voices and you all had great connection with the audience. I honestly thought the performance was perfect... Once again, many thanks for a great evening. Oh What a Night! And what an absolute treat to enjoy a top-notch evening of entertainment without having to shlock into London. We all settled down with our drinks and snacks (some taking their 'picnics' to a whole new level) and eagerly awaited the arrival on stage of The Jersey Guys who, on their website, claim to be the UK's original, most reputable, premier tribute to the multi-award winning Broadway and West End Musical 'Jersey Boys' and the legendary rock 'n' roll hall of famers, Frankie Valli & The Four Seasons! I'm sure i was not alone in not having high expectations at the snip of just £15 a ticket. But boy were we in for a treat! 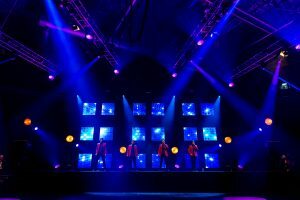 The performers gave everything and I doubt would have played their parts any more enthusiastically had they been standing on the West End Stage with their slick choreography, perfect harmonies and phenomenal tunes. I've seen The Jersey Boys in the West End and while it may have had a bit more glitz, backing and props, everything else was the same for this pared-down version of the show. Great singing, unbelievably catchy songs which we could (and did) sing along to: Sherry, Can't Take My Eyes Off You, Beggin, Big Girls Don't Cry, Bye Bye Baby, December 63 (Yep, they really don't write them like that anymore) and many, many more. I LOVE musical theatre and have seen many great West End shows over the years, but it is ridiculously costly and a bit of a faff getting there, usually involving a station car park charge, train, taxi and a meal. Now, I'm not saying that the Jersey Guys were as good as a London show, but it was a GREAT night out ...and I for one will be working my way back to you for more please! Great website and excellent sound on Beggin... Well Done! It was a pleasure as always having you at the weekend and so nice to have your professionalism... we will definitely be booking you again... Give our best to the Boys and girls... Best Wishes, Maria. 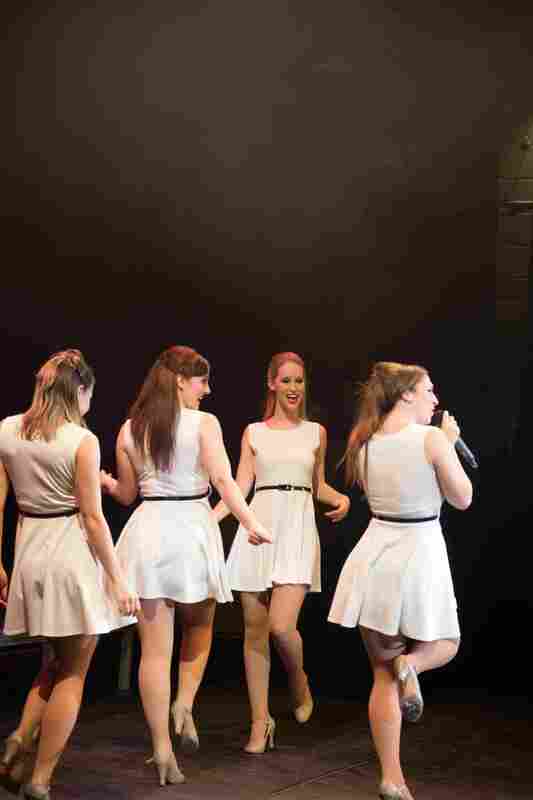 Such a fabulous group of singers and dancers to get everyone toe tapping or dancing to every number. 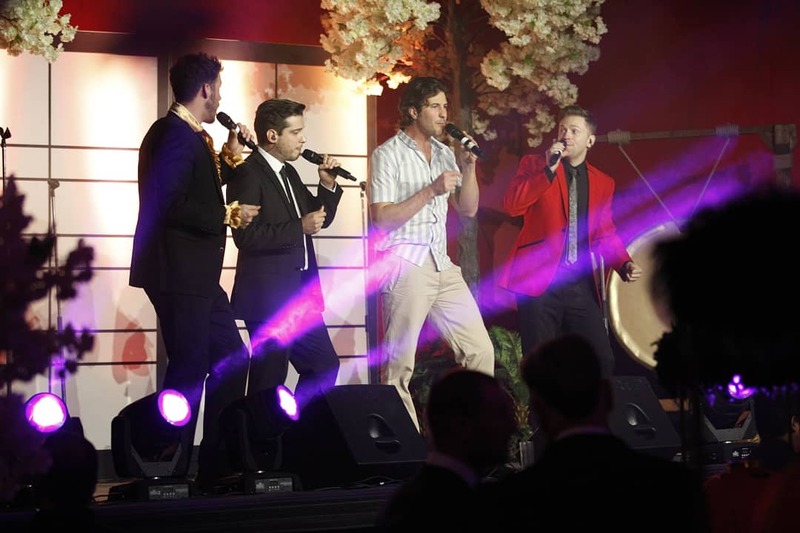 We had the pleasure of seeing them in action last night in Ashton at a Purple Ball - fund raising for Pancreatic Cancer. They were superb. Wonderful voices with great routines, they even managed to not laugh at me trying to copy their dance moves.....Do try to see them asap. Highly recommended. They are also very nice people too! Everything was great – the feedback we’ve had from the event as a whole has been amazing – you guys helped us to make sure this happened with an outstanding (as usual) performance. It was so lovely to see you all too! Absolutely, we will always keep you in mind for any events - please keep us updated with any new developments for 2019. Thanks again and we hope to see you soon. Great Show...Everyone Loved it! Will definitely book you again! 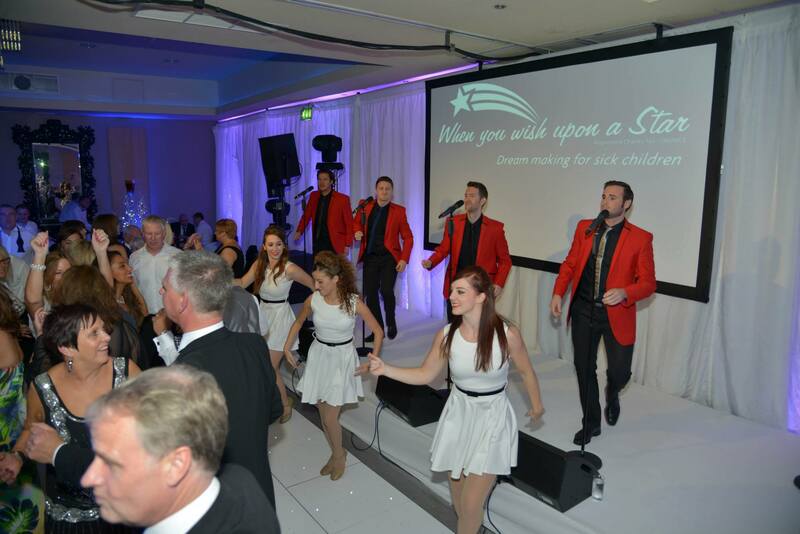 Thank you to you and the Jersey Guys for your fantastic performance on Saturday. The client was very happy and the dance floor was packed - always a good sign! Just wanted to say a HUGE thanks for yesterday. Everyone last night and today has been telling us how amazing you were. "Oh what a night" you guys made it for us! Thank you so much for the amazing 30 minute medley, BUT, an especially huge thank you for allowing Coby to join you on stage - that was the highlight of his night! which everyone loved! ... we look forward to working with you again in July! "Please pass on our thanks - they were fantastic! It really made the evening spectacular and we didn't really get the chance to thank them personally. We would recommend them in an instant. 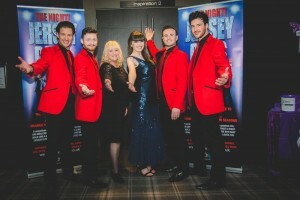 Debbie and Gareth Hale, Cara and Jimmy Doherty"
A Fantastic evenings entertainment; west end quality show... well-done Guys. 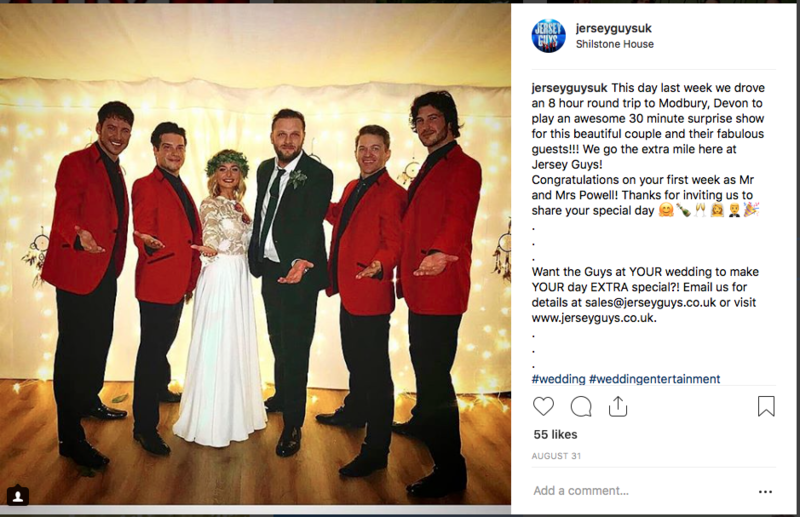 I had the pleasure of watching the Jersey Guys in Caterham and they were incredible. They had me beaming and my feet tapping throughout the show, and the songs running in my head for a lot longer. 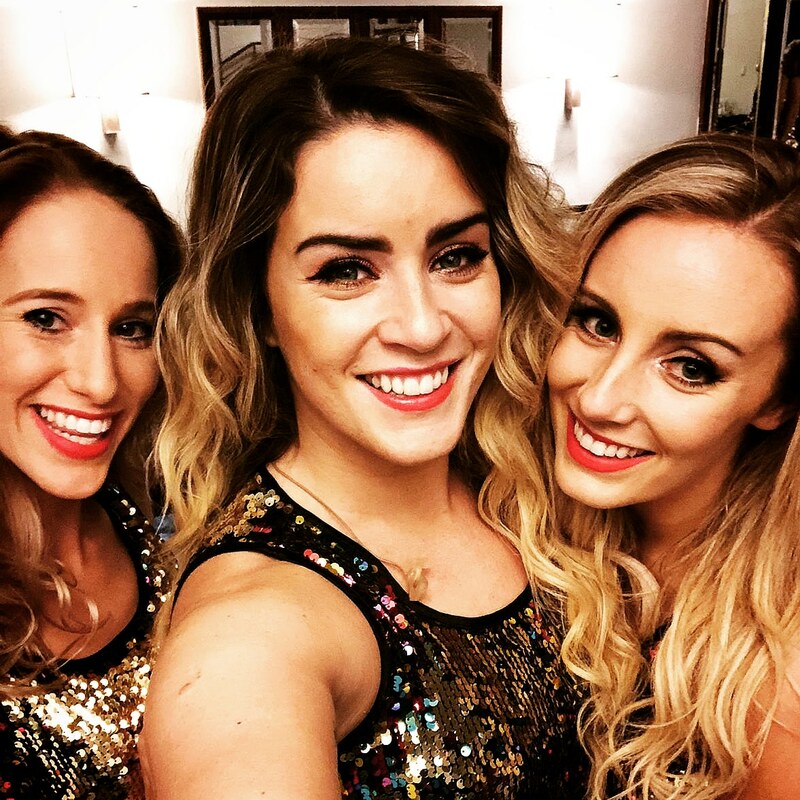 They have fantastic voices and presence and I will be following their performances in the UK whenever I can. Very highly recommended. Saw these Guys in Salisbury last night... Absolutely amazing! Loved every minute!...Look forward to having you back... you deserved the appreciation...you were fantastic. We thought the show was fantastic... absolutely marvellous. Really was top drawer and everyone thoroughly enjoyed it. We had a lot of people saying how impressed they were with the quality of the entertainment. On a personal note we found you all very easy to deal with and you helped to make it easy for us so we couldn’t have asked for more. Thanks so much for getting everyone up and dancing. Apologies for the over enthusiastic dancing guests! LOL! Well I wish it was this time last week again and we had a fabulous evening to look forward to! We have had lots of great feedback from our guests during this week - they all loved the Jersey Guys! I really can't think of anything that could have been improved - everything perfect for us. A friend has asked for your details to pass on so they may contact you! Thanks so much to you all for a fabulous evening - we and our guests had a brilliant time. Shame it is all over and roll on the next time we see Jersey Guys! Look forward to seeing you all again in the future. Fantastic and very professional tribute show. Highly recommend for any event. 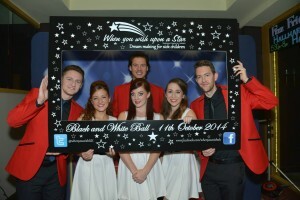 They were fantastic at my black tie event entertaining 150 people! Keep up the good work JG team! Adam, I wanted to thank you and your group! I am still nearly speechless by the evening. It was one of the best night's of my life! Our guests LOVED [the show]! We have had nothing but positive feedback from the evening! I lost count of how many people who asked me on the night where I found you and where to get the details... It was fabulous! Thank you so much! Once again, thank you for a fantastic show. 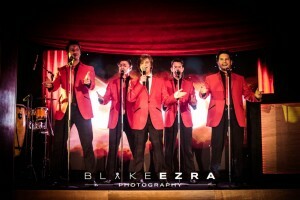 It's incredible to see how far these guys have come in three years... Iv followed them since they first sang 'Can't Take My Eyes Off You' in the Jersey Boys section of our 'Songbirds' show 'Oh What a Night' in May 2010, and they're now by far and away the best Jersey Boys Tribute group in this Country. 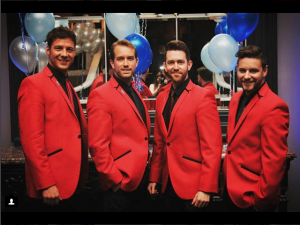 Proud to be able to say these guys came through our Theatre Company and vocal bootcamp, following in the footsteps of previous 'Songbirds' Paul Bacon (UK's No.1 Elton John tribute - Ultimate Elton) and Leigh-Anne Pinnock (Little Mix). Fabulous... I wish you all the success in the world. You deserve it!!! "Just wanted to drop you a line to say many thanks for arranging for the Jersey Guys to attend our event on Saturday night. 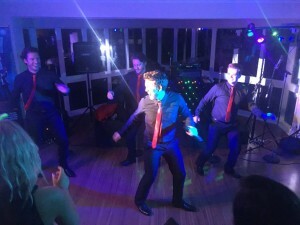 The guys were great to work with and everyone thoroughly enjoyed their sets - we even managed to get people up dancing... some of them on the chairs!! 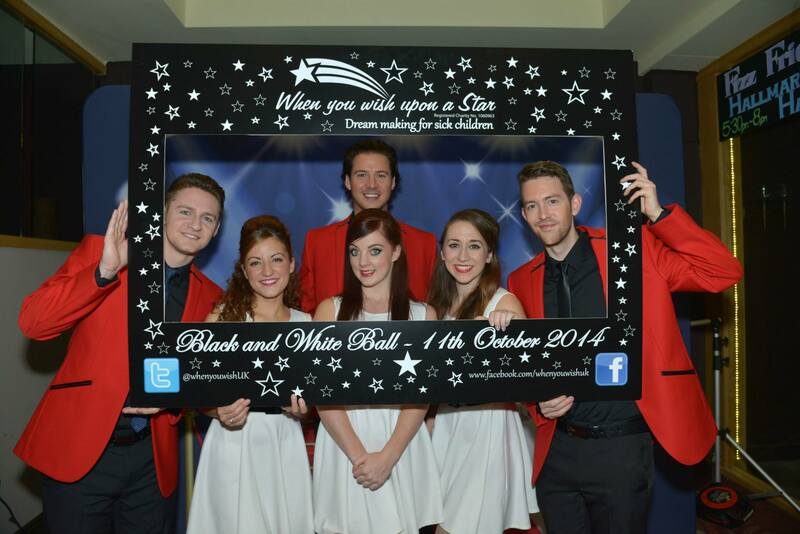 They looked great, they were very slick and professional and were a great act for our event. Please pass on our thanks to all of them and hope to see them back in Jersey in the future". We are thrilled with the good feedback and I look forward to working with you guys again soon! Thanks for helping out by tailoring the set at the last minute in an unusual format as well! Thanks once again and have a great weekend! These Guys made our wedding absolutely amazing... they are beyond brilliant and so lovely to deal with. They do Frankie Valli and the Four Seasons all the justice in the world. We were very lucky to have them perform. If you're thinking about it, do not hesitate to book them! Thanks again for everything Guys! You were an absolute pleasure to deal with and all of our audience were so pleased with you all. You set the tone for the second half of the night and they just danced the night away. You all looked great and sounded fantastic... 100% pleased! Best wishes and many thanks for a really professional performance. "...I finally caught up with Pat Williamson from the Demolition Contractors dinner & they were very pleased with the Jersey Guys performance - saying what a great show it was! Thank you for all your efforts with this booking... Look forward to working with you again in the future. 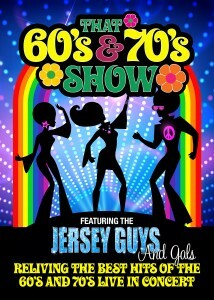 I booked with Jersey Guys for a fundraising event for our Lions Club. All the way through the process they were efficient and professional. 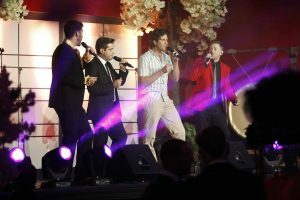 On the day itself the Guys gave a great performace and the Gals added some sparkle to the event. All the guests had a great time and we made a goodly profit to help local charities. I'd certainly book the Guys again especially if they added another string to their bows! Hi Adam – just a short note to say a big thank you for the show on Saturday. We completely loved it, and so did our guests – it played a big part in a perfect day for us, so thanks to you and the boys. We’ll be happy to recommend you guys to all and sundry!! Saw the Jersey Guys at my nephews wedding... I think they are fantastic! Definitely a fan - what a night! Thanks very much for a great set last night- so pleased the weather bucked up its ideas and you had a decent attendance in the end! We've received some great feedback from people since. You guys were truly amazing. Everyone was so complimentary and have been non-stop talking about you and how good you were. Literally mesmerizing. Wish I had booked you for longer now!!! It didn't seem long enough!!! Lol!!! Thank you for everything and making our day so special. [Your service was] exceptional from start to finish. Everyone had a fantastic night; they particularly thought you guys were fantastic... I will be contacting you in the New Year in regards to an event, probably in December 2019. Thanks for providing the entertainment for our party – I have had great feedback from the night so thank you. Just wanted to say a big thank you to you and the Jersey Guys for making our evening a very special occasion. Everyone thoroughly enjoyed the show you put on and are still talking about the whole event. I will certainly be recommending you to anyone who ask. Also, thank you for the flowers and 'bottle'. Wishing you all the best for your futures. I am always dubious (as you can probably appreciate) booking something over the internet and only seeing snap shots on youtube, but you delivered way past expectations - The feedback received has been excellent in regards to your performance... It was a fantastic evening, which you helped kick off with a fun-filled performance... and an excellent way to start the Christmas celebrations. I would not hesitate to book you again for any future events we may have. Merry Christmas to you and the team! 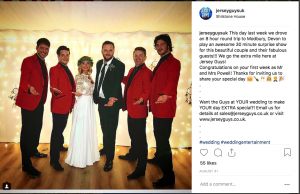 @JerseyGuys1 Thank you so much for joining us yesterday - we loved it! ;)"
Thank you for your congratulations. We had the most amazing day and are now suffering from the wedding blues! The performance from you guys was one of the highlights of the day - we LOVED it, to say the least. Thank you so much for keeping it as a surprise as it was the best feeling seeing all our guest’s faces when you came out. We’ve heard nothing but compliments for you about how great the performance was and a few people asked if the West End show had closed for the night just to come to our wedding haha! We really appreciate you coming all that way and making our day better than we could have ever imagined. We were really happy with the show and how professional you guys were last Sunday... We’ve had nothing but positive feedback regarding your show and believe that as soon as we put the next date in it will sell as fast as the last week's show. 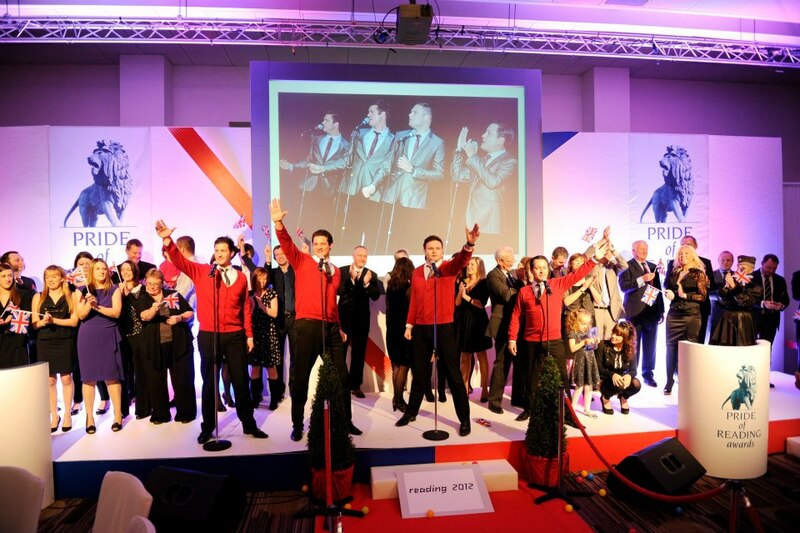 Wanted a great finale act for our Pride of Reading awards in our new venue at the Madejski Stadium - and you were simply superb! 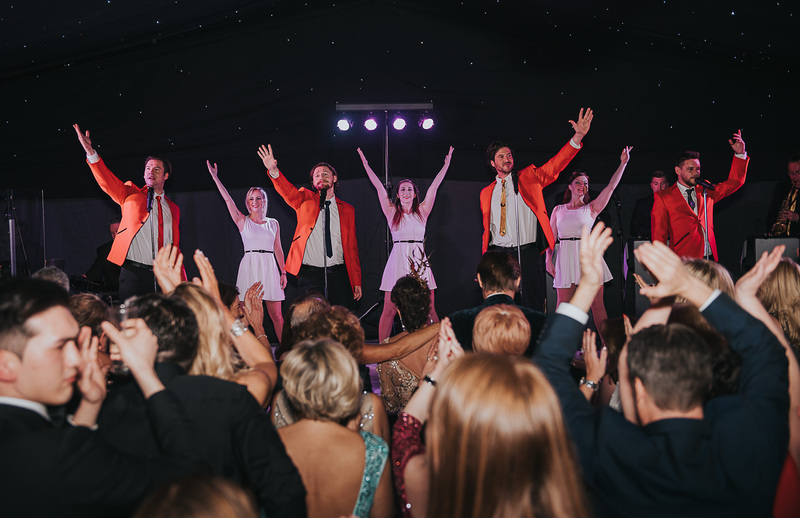 The whole crowd of nearly 300 were on their feet and when our winners, celebs and Olympians joined you on stage for the last number, it was magic. Chris Tarrant was singing loudest though! Thanks again for making it a fitting finale to celebrate some wonderful people. What can I say?! You were terrific, amazing, sensational - I can’t find the words to express our thoughts. Right from the time the audio chaps and band started to arrive, I could see we were in capable hands and then when the singing waiter’s routine was timed to perfection it was clear that we were in the hands of true professionals. Everyone is still buzzing from the evening and you and your team played a major part in making the whole night an unbelievable success. The main performance was so good and it was great to see our guests joining you on the dance floor throughout your performance. Please pass on my thanks to all your team; Vicky & I sincerely appreciate each and everyone’s contribution. I cannot begin to tell you how thrilled we are with the Jersey Guys and their performance at our wedding! They were the most amazing thing ever and really did make our day!! Our guests cannot stop talking about them and posting videos and photos!! There was quite a bit of ‘fan girling’ going on! They even had the more theatre/musical critical on their feet and full of praise! The perfect mix of songs, dancing & performing. I literally didn’t move from the front, mouthing every word along with Ryan and gang! The boys even joined us for a drink afterwards, walking through the audience (guests) like celebrities!! Everything was perfect, they were quiet and discreet when we needed them to be and totally brought the party when required! Absolutely perfect, I cannot stop grinning like a Cheshire cat when I think about their performance! I really hope we can work together again! Let me know if you’re coming back to the Town Hall - Jason and I will be there, front row, no questions! Thanks again... it really was the BEST DAY EVER!!!!! 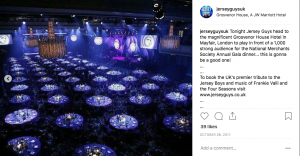 I spoke with David my CEO this morning and he said ‘The Jersey Guys’ were just amazing. He was blown away with your performance on Saturday. Shame I wasn’t there to see it as it sounds an amazing show. Thank you too for working with the delayed timing. Thank you for the great communication over the months too, it does make it easier. Thank you so much for coming to Bourne end and sharing your amazing show - you are all so talented and it was a real pleasure to see you perform for us. 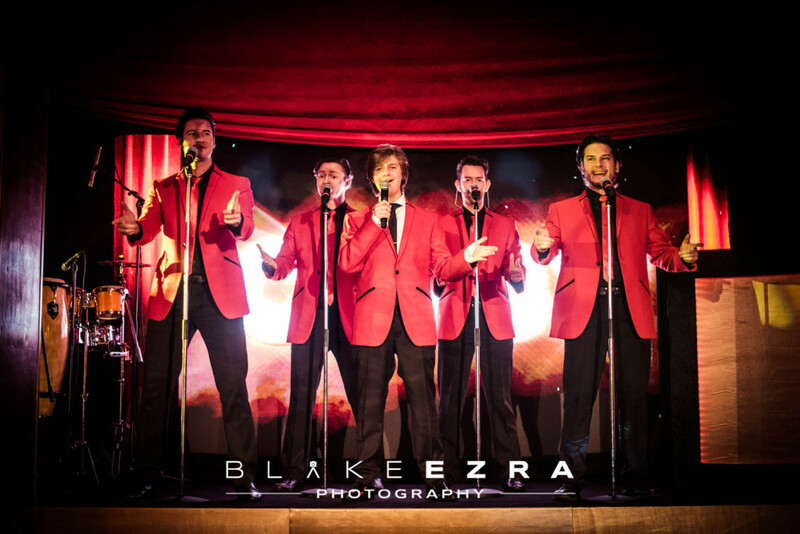 You were fab at the Kenton, a real nice group of guys with amazing voices. Every time I have seen you perform you show great talent! Four very professional men. The girls were an absolute joy to work with and killed their spot! Please say a big thank you to them for such an amazing job. We all loved them! They were so good I have another enquiry for them! They were brilliant - I saw them at the Marriott Hotel Bexleyheath and they sounded so much like the originals. All the songs; dance routine and great guys they all were - The Jersey Guys. Hope to see them again. I helped organise and attended the event here at the Campion School on Saturday - what a fantastic evening it was! You excelled and exceeded all of our expectations and the school is buzzing with talk of the Jersey Guys this week. Thanks for putting on a great show. We will definitely be booking you again. Well you pulled it out of the bag once again on Saturday for the THIRD consecutive year! ...everyone had such a great time! We've put a video on Facebook and have had over 300 views so far; this was one of the reasons we sold out this year so quickly because people could see the quality of the show from last year. 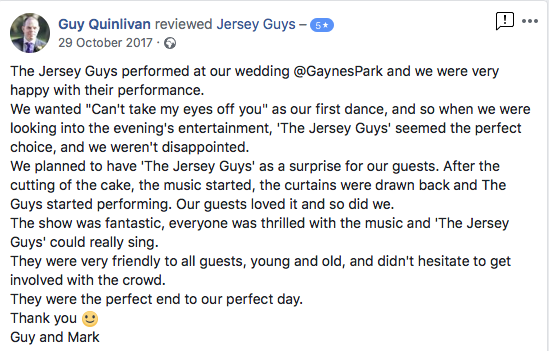 It has been a pleasure working with you, Adam; the Jersey Guys have given us the most fantastic entertainment, raised money and most importantly given happy memories of great nights of music and dancing. I wanted to thank you for Saturday - every one of our guests thought the show was fantastic and no one had a clue regarding the disguised waiters! It was the talk of breakfast!!! Great show in Caterham last night! Love it! It has to be said, your show was definitely our best so far… the comments back have been so positive… think they wanted you to carry on all evening!!! You were prompt with initial enquiry and from there everything ran very smoothly. Once again, I thought the show was amazing - we’ve had loads of positive feedback regarding the show; everyone thoroughly enjoyed themselves. I'd like to get 3 more dates booked in for this year and next - would be great to confirm those as soon as possible. All the comments from the guests were of pure praise. Everyone loved the Jersey Guys and kept on asking where on earth did I find such a splendid group! The pianist was incredibly cued on and provided the perfect background, breaking for toasts and everything... The jazz trio were also great... Thank you very much for your swift and quality organisation of all aspects of the event. I can't thank you enough - the show was the best it has ever been! See you in 2019! Thanks so much for all the effort you guys put in... I knew you guys were the 'bees knees' but you did an amazing job! Oh what a night! ...You guys were absolutely BRILLIANT from start to finish and all of our guests from the youngest to the oldest had a fantastic night. The level of professionalism was second to none and you made it so much easier for us to relax and enjoy ourselves - worth every penny! ...We would book you again in a heartbeat and we will certainly be recommending you to all of our family and friends! ... Thank you so much! Many thanks for Saturday night. Everyone had so much fun. The Jersey Guys were fantastic and set the tone for an unbelievable evening. Once again a huge thank you to you all. Have watched the Jersey Guys several times now and they get better every time I see them and look forward to the next time! 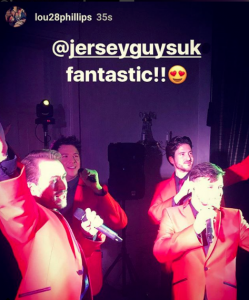 if you haven't seen them yet go see them, or if your looking to book a Jersey Boys Tribute Act for any event, then these guys are the best around. Thank you for another superb night! Once again, I had Nuala and Christine looking at me at the end of the show as if they were the puppy’s and I had the dog biscuits, asking if we could bring you back next year! Realistically, after 4 years, I think we need to move on. Maybe we will see you again in the future! The show was terrific, and everyone I’ve spoken to seems to have loved it. I know the venue and logistics were challenging and you did a brilliant job working within the constraints. A big thank you to you and the whole cast! 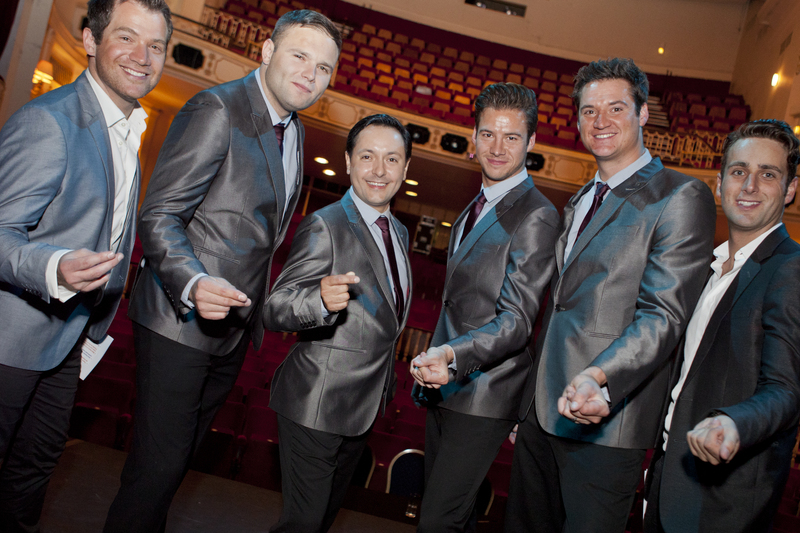 I will certainly recommend you should anyone be looking for a Jersey Boys tribute band. I would be delighted to have you perform again should the need or desire arise. Hi Guys! Just wanted to say a huge congratulations for winning the Audience Vote! You really got everyone bouncing in their seats and the atmosphere was fantastic. 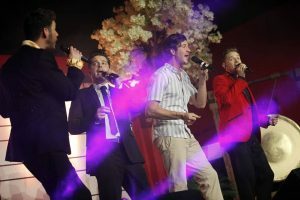 Thank you so much for you performance on Saturday... You guys definitely had the room bouncing and everyone has been saying how good you were! Everything was fabulous again... 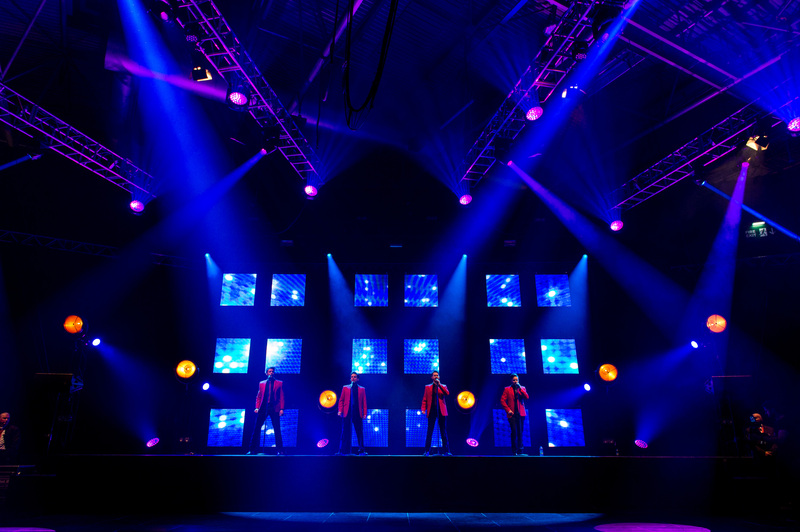 The guys were excellent - I really liked the audience interaction; it was a special touch. Fantastic group! Full of energy and really got the crowd going. 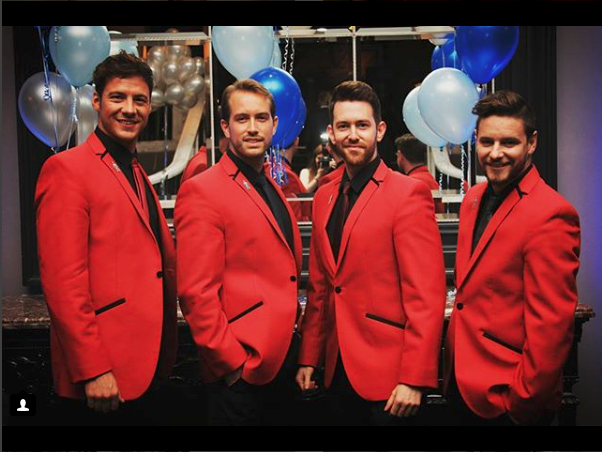 Had the pleasure of seeing them at the May Fair last week and everyone had the best time singing and dancing the night away. 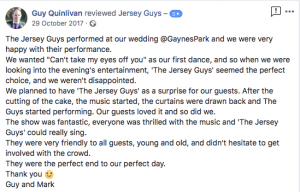 The great thing about the Jersey Guys is that they were one of the first tribute groups to establish themselves in this sector of the tribute circuit. 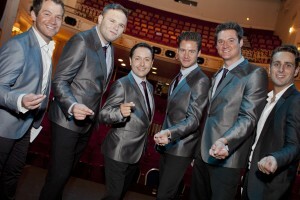 Other groups have jumped on the band wagon and tried to replicate what they've done but you know when you book these Guys that they have been around producing their tribute to the Jersey Boys for over 3 years now... You know what you're gona get with these guys - they always deliver a well produced, top quality show. 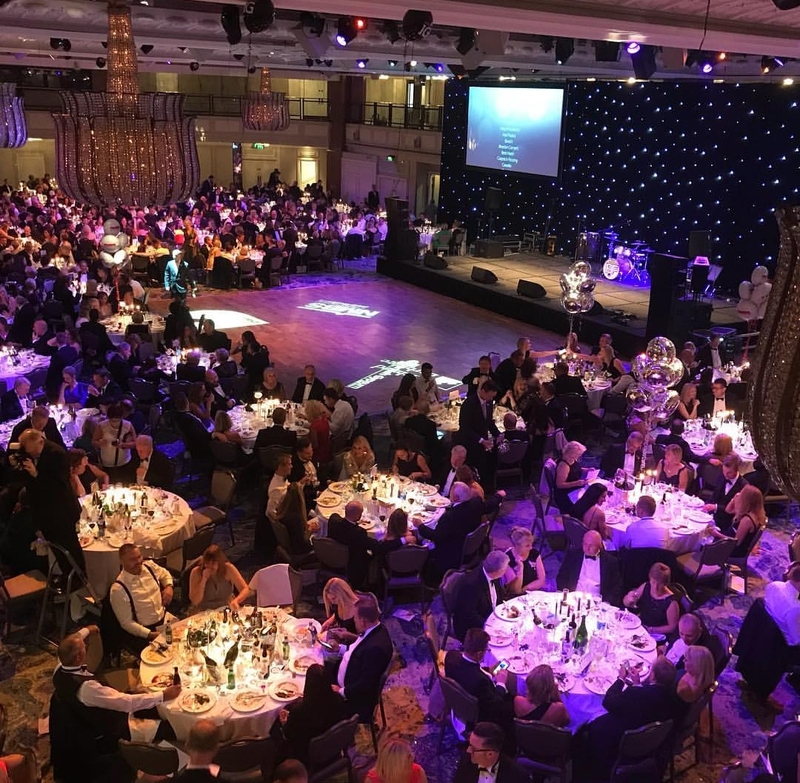 Lovely to hear from you, we really appreciated you attending our event on Friday and we all had a brilliant evening (some a little too much in the end!). You were all great and helped me keep calm throughout the plan of the evening too. It’s been lovely working with you. The Jersey Guys are a fab group of very talented singers, great fun to watch and they really get the crowd involved. You'll definitely come away with a smile on your face when you've seen them perform. I thought you boys were fabulous, it looked like you all go 110% and loved the content. Your boys were awesome. Just perfect, I couldn't have asked for anything more and I will certainly be recommending you guys. 10/10 from me and I can be a diva when it comes to quality of entertainment and I loved it. The manager of Dartford FC spoke to me after about booking you for some christmas functions ...he couldnt believe how great you were.